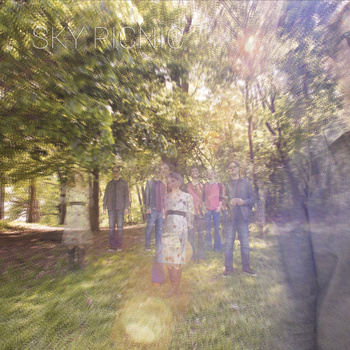 New albums from Brooklyn, New York based Sky Picnic are always a treat and Her Dawn Wardrobe is yet another winner from this Psychedelic trio. This may be the band’s third full length, but they’ve also released some EPs and contributed to compilations, including several on the Fruits de Mer Records label. Songs like Upon Further Reflection convey a trippy dreamy 60s Psycyedelic feel, though it’s by no means retro. June Sunshine is similar and includes a nice combination of acoustic and electric guitars and some pleasantly melodic spacey acidic solos. I See You Saw and Most Of A Box Of Winter both have a jazzy Psychedelic vibe and rockin’ jam segments, the former being particularly spaced out. Lady Of The Moon consists of mystical magic carpet ride Folk-Prog-Psych with heavenly Mellotron-like orchestration. Ode To… and Her Dawn Wardrobe are similar, the title track being a more purely acoustic song. Where The Memories Stirred continues down this path but is more intensely acid rocking. But my hands down favorite, and possibly my favorite Sky Picnic song to date is Earl Grey, which sounds like a Psychedelic outtake from King Crimson’s In The Court Of The Crimson King. It’s got classic Prog sweeping Mellotron waves, delicate vocals and acoustic guitars, crushing molten lava solos, and alternates between pastoral and majestic powerhouse sections. Absolutely freakin’ awesome. It’s always great to hear a band who just keeps getting better.